19 Oct Supply and price respond to rain. Lamb and sheep markets along the east coast were provided with a price boost this week as some welcome rainfall saw lamb throughput ease. The Eastern States Trade Lamb Indicator (ESTLI) climbed 3% to creep back above 700¢/kg cwt. 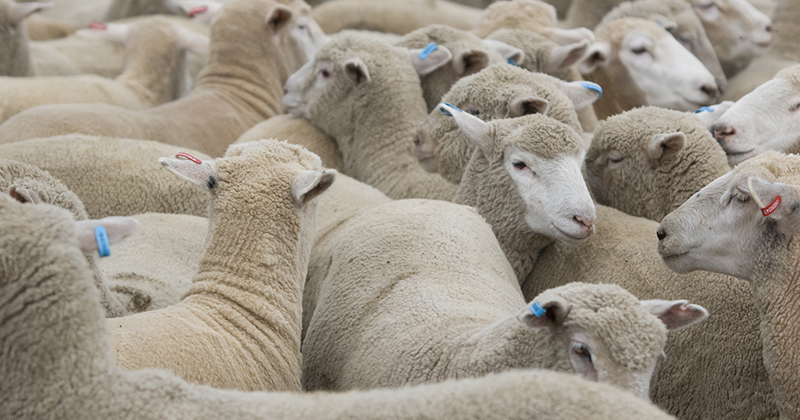 Price gains across the eastern seaboard were not just limited to the Trade Lamb categories. NLRS reported saleyard prices posted gains in all reported categories, apart from Restocker Lambs which shed 4% to close at 649¢/kg cwt (Table 1). East coast mutton was the stand out performer this week with an impressive 7% rally to 411¢/kg cwt. This was quite remarkable price strength shown by mutton, considering the unseasonably high numbers of sheep presenting at the saleyard. East coast mutton throughput is running 117% above the five-year average pattern for this time of the year, with elevated numbers particularly present at Victorian and NSW yards. In contrast, the east coast supply of lamb dwindled during the week to see a drop of 14% to just over 145,000 head (Figure 1). Falling NSW lamb throughput is driving the east coast figures lower with a 32% fall on the week to see NSW lamb yarding levels trending 14% below the seasonal weekly average. Perhaps NSW producers are responding to the falls of 15-50mm noted across much of the state this week (Figure 2). A similar rainfall pattern to what we saw this week is expected for next week which may continue to provide some support to prices. Although, the big increases in Victorian lamb yarding levels are just around the corner as the Spring flush gets into full swing toward late October. This will act as a reasonable headwind on prices rallying too far. A more likely prospect would appear sideways pricing movement at current levels in the short term with a continued downward bias as the Victorian lamb numbers start to flow. Additionally, the looming prospect of an El Nino is rearing its ugly head again as the BOM now forecast a 70% chance of one developing into late 2018/early 2019 and that’s going to weigh on producers optimism to hold or increase stock levels into the medium term.